There is nothing like the perfect coffee to get your day off to a great start. 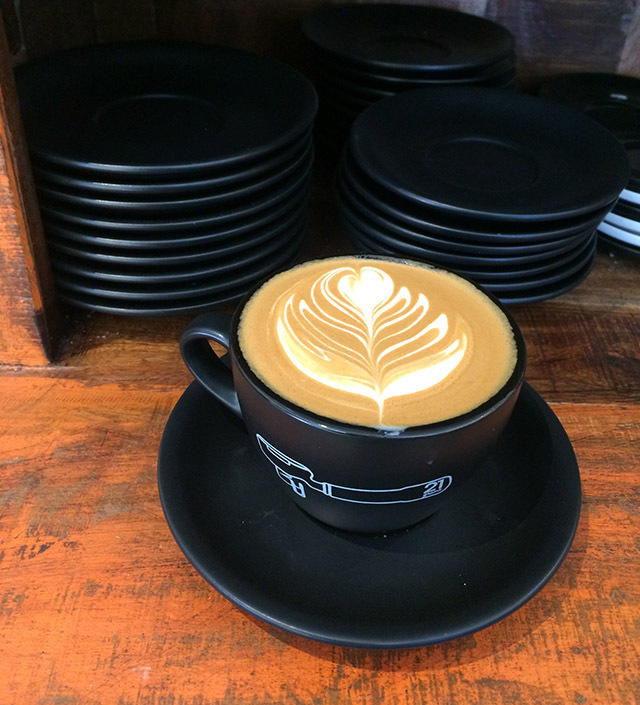 Coffee lovers in Dee Why have it all, beach-side favourites, the main strip and off the beaten track treasures. 21 Grams is a bit of a secret to the general public, but well known by the best Java seekers. Nestled in at No. 3 South Creek road Dee Why, just as you turn off Pittwater Road. I now claim this Espresso Bar as my latest favourite. This cool cafe is owned by John Greco, wife Kim and son Zac. John is an industry expert making his own unique blend. He also supplies coffee to wholesalers, sells coffee machines and repairs them. He knows all the tricks for the perfect brew and how to produce the end result. 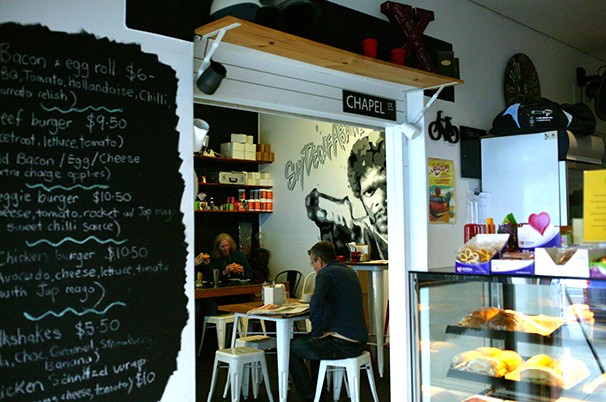 The fun interior is compact and displays a large mural of the hip 'Pulp Fiction' movie star, Samuel L Jackson insinuating that decaf is a dirty word! Apart from Samuel's menacing glare, there are no threats here. You will find the atmosphere casual, warm and friendly. Perfect for locals to stop by in. 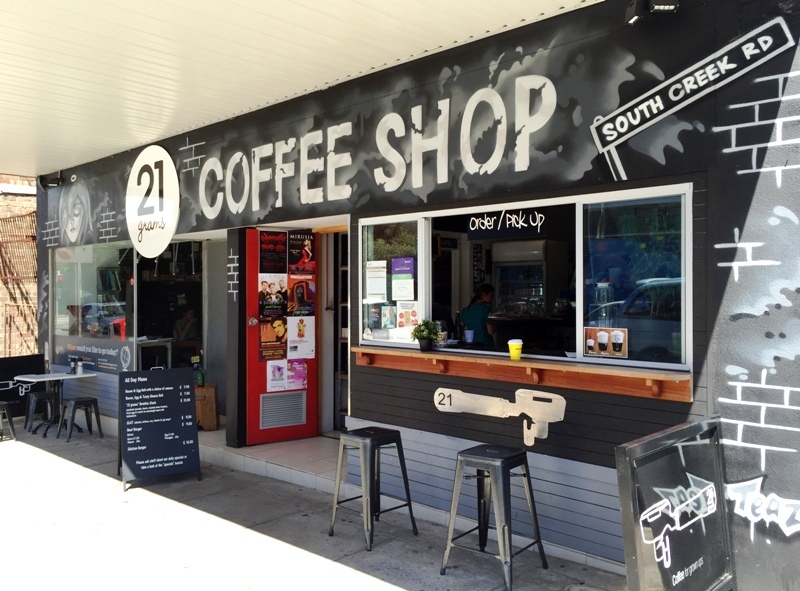 Kids can play in the corner while mums chill, sipping their much-needed caffeine hit of the day. Dog walkers and bicycle enthusiasts can stop by on route to the lake and order at the window bench. Part of the secret to their perfect brew is the 21 grams of grinder coffee per cup, instead of the usual 16-18 grams. This little extra creates a full bodied sweetish brew, which works well with milk based drinks and the extra strength is ideal for a full flavoured espresso. They offer a simple menu which pairs well with the locals needs. Quick breakfast options, bacon and egg rolls or the full hearty breakfast. The lunch menu consists of pre-made healthy paninis, burgers or a steak sambo. I tend to run all day on a good breakfast, ending with an early dinner. I will definitely stop by soon and grab a bacon and egg roll to go.